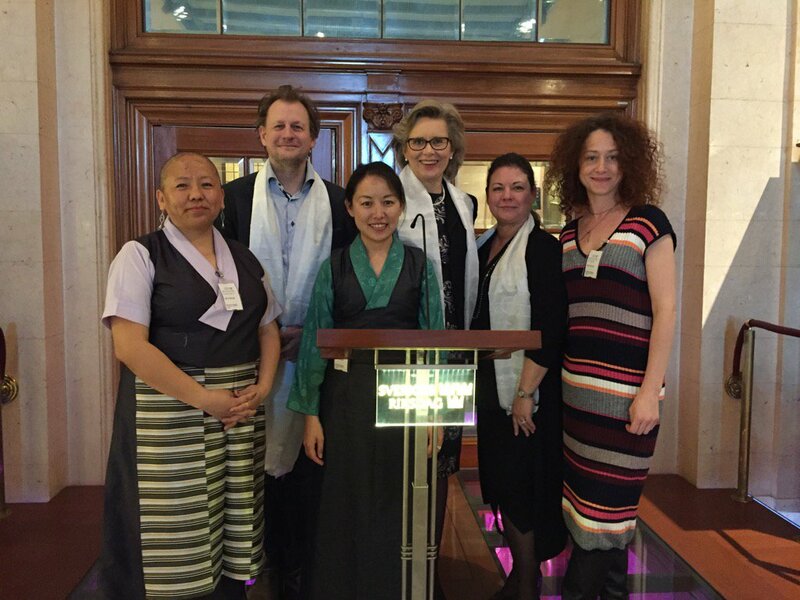 (TibetanReview.net, Mar31, 2017) – Five members of the Swedish Parliament have on Mar 28 come together to launch a Swedish Tibet Friendship Parliamentary group to strengthen efforts on Tibetan issues, said a report from the Office of Tibet, London, which represents the exile Tibetan administration. The MPs have been named as Margareta Cederfelt (M), Kerstin Lundgren (C), Carl Schlyter (MP), Tina Acketoft (L) and Caroline Szyber (KD). Those who attended the ceremony for the launch of the group and its first meeting included Swedish Tibet Committee board members Hanna Sahlman and Jamyang Choedon (Vice-President of Tibetan Community in Sweden, TCS) and TCS board member Tenzin Deki. Speaking at the inaugural event, Margareta made the point that it was important to raise the question of Tibet in the Swedish Parliament, adding there were many Parliamentarians who really supported the Tibetan cause. It was decided during the meeting to hold a Tibet Seminar soon to raise awareness about Tibet.